Descriptive Analytics may be defined as the capacity to gather the information and also analyse the data. It provides the summaries of the sample and the observations that have been made in the past. These summaries are quantitative and form the initial description of the data. Descriptive analytics include the reviews of some disease cases, hospitalisations, a period of the stay in the hospital and list of the medicines used. 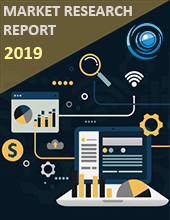 Healthcare Descriptive Analytics Market is segmented by the application in which clinical analytics segment holds the most significant share in the market and by Deployment, On-Premise segment contains the most significant share in the market due to its multi-vendor framework. North America contributes the most massive size in the Healthcare Descriptive Analytics Market due to the increasing healthcare mandates to control the rising healthcare costs, growing adoption of EHR and increasing regulatory requirements and increasing government initiatives on the personalised medicine. The implementation of policies like e-health record and e-medical record for the patients by the government, necessary treatment given to the patient based on their history, advancement in the technology, healthcare IT expansion, integration of the big data in healthcare and increasing efficiency of the medical practices are the major factors that propel the growth Healthcare Descriptive Analytics market. Component, Deployment, and Application segment healthcare Descriptive Analytics Market. The part is further segmented into services, hardware, and software. Deployment is further segmented into Web-based, Cloud-based and on-premise. The application is also segmented into financial data analytics, research analytics, clinical data analytics and administrative data analytics. Healthcare Descriptive Analytics Market gives the information that has been done in the past, and the Asia Pacific is expected to have the most substantial growth in the market due to the increasing Electronic Health Records adoption and population health management.